The Importance of getting close up and personal. 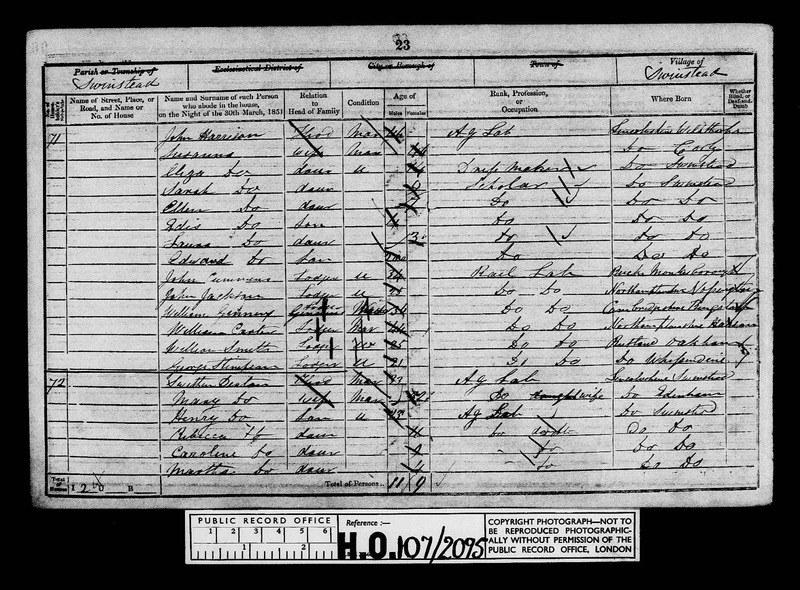 Looking at census records can be a great way to start your research. Now that almost all of these are online it has never been a better time to start researching your family as parents grandparents or great-grandparents will appear at some point in these records. However, not everyone can be found in a census record. Those that are missing were still a part of our family but names may have been forgotten or overlooked when the information was passed down through the generations. Many could not read or write and word of mouth can be less reliable. 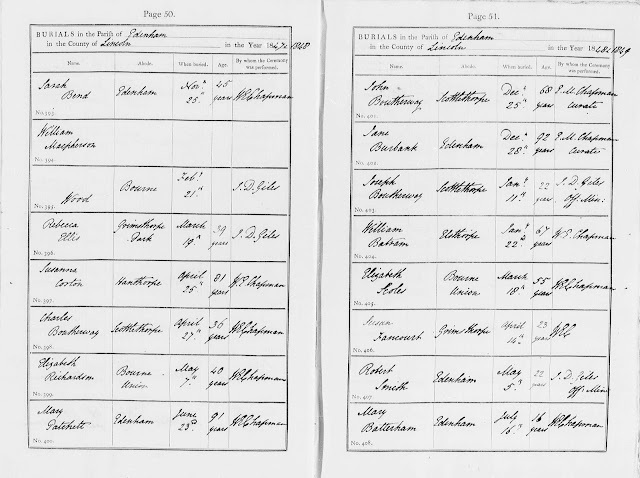 I have already found some missing children because the General Register Office now has an online index, which includes the maiden name of the mother, but sometimes we still miss those who are born and die between the census years. I plan to go through these indexes to search for missing siblings but sometimes other records can provide those missing siblings. 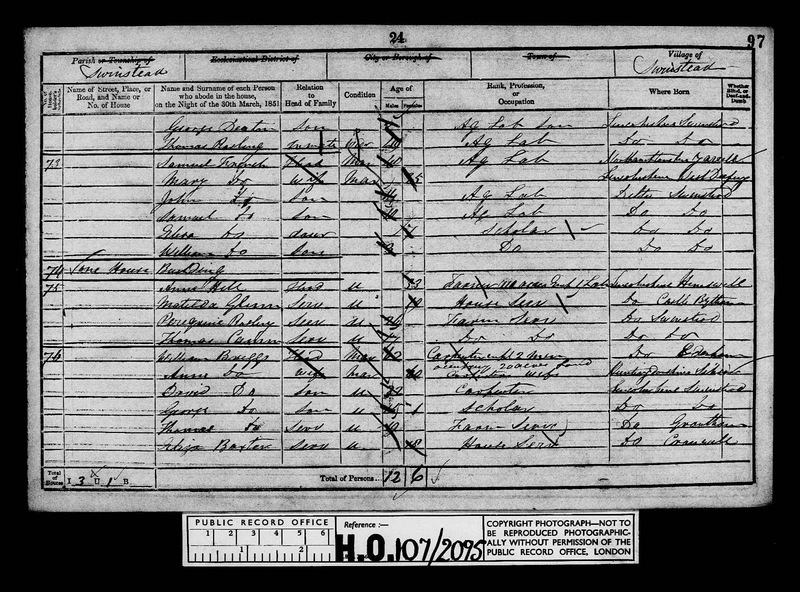 Today I just happened to come across one by chance whilst adding records on the Family Search Family Tree. 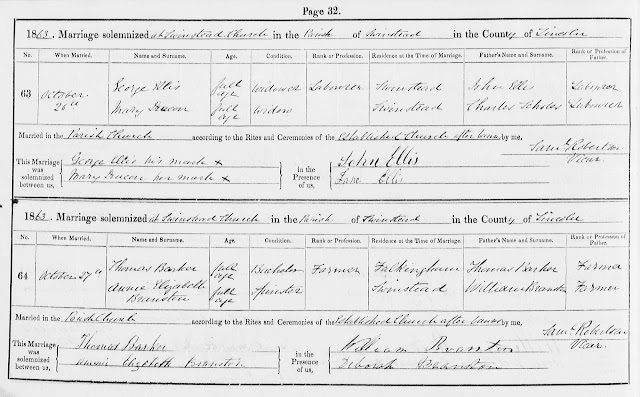 This family had several hints for the father Elijah some were for marriages of his children but one was for a christening in Empingham, Rutland. 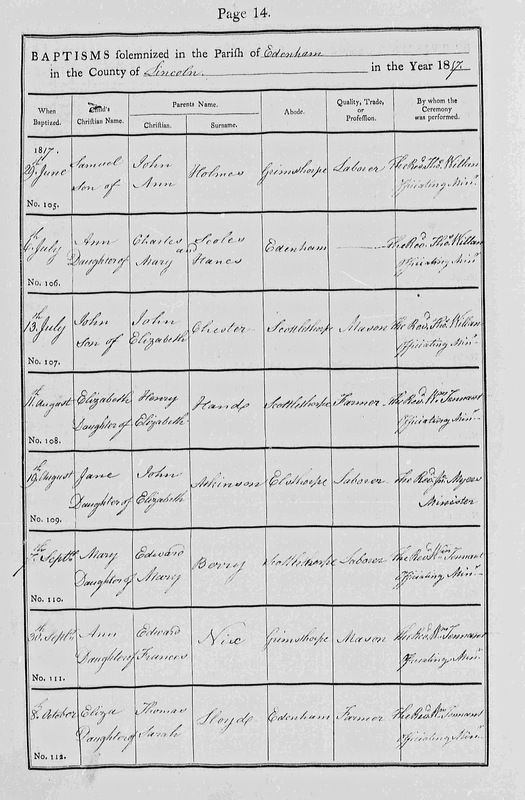 This is the transcription on Find My Past which was the same as that on Family Search as digital images of the original register are available through their link to Find My Past. 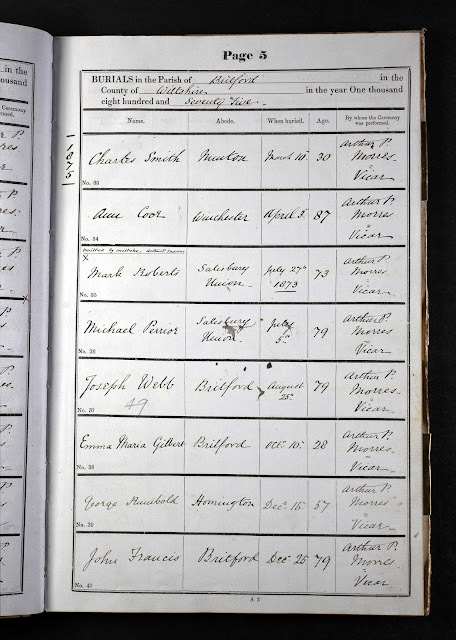 The parents are correct and the dates and place fit, even if it was a few years after her birth, so was Annie christened with 2 names but only one was used when the birth was registered. The original tells a different story. The rector decided that he would record both daughters on a single record. I have submitted a correction to the record and as can be seen in the first image I have also added Ellen to the family as she had previously been omitted. Ellen died in the first quarter of 1881 and was buried in Empingham. So like her brother Elijah she was born and died between the census years. It must have been a sad time for the family to lose 2 children at such a young age. It may have been commonplace for the time but still a blow to the individuals. So if the original record has been digitised or you have a chance to see it in its original form it is imperative that you do so. Don't forget to look for other records to ensure you have not missed anything. Whilst our ancestors will have been liable for taxes the records may not still exist or may not hold any clues to help our research. As I have not used any of these records to aid my research I am going to write about how taxing it can be to discover or uncover the relevant records to aid our research. The registration of births, marriages and deaths in England and Wales started on 1 July 1837. However, there was no penalty for failing to register any of these events until a much later date, and as a consequence, many events went unregistered particularly in the early years. 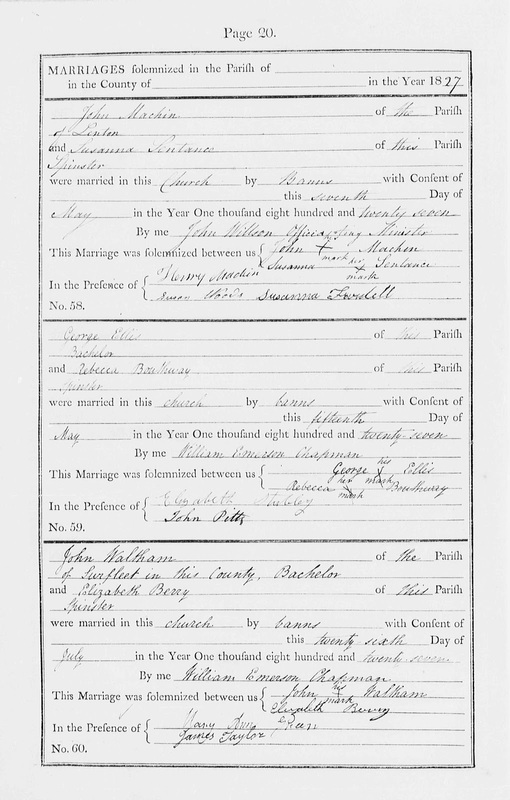 Although I have found a baptism for Rebecca Ellis I can find no record of her birth having been registered. 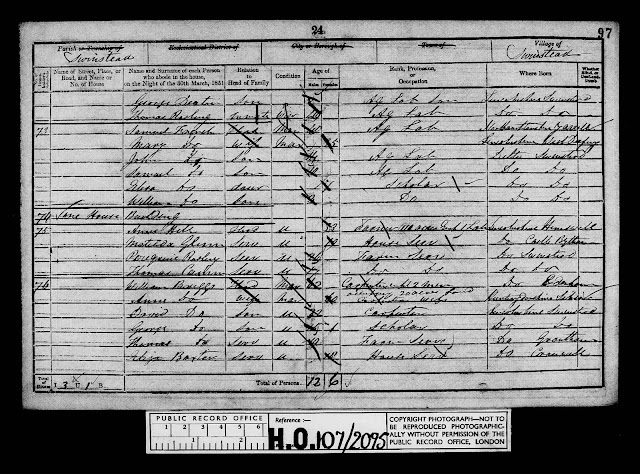 There are no births registered between 1841 and 1845 for girls who could be her. The same is true for her sister Jane. They were 2 of the 14 children born to her mother Rebecca within a 20 year period. In 1848 the mother Rebecca died of phthisis or pulmonary tuberculosis. 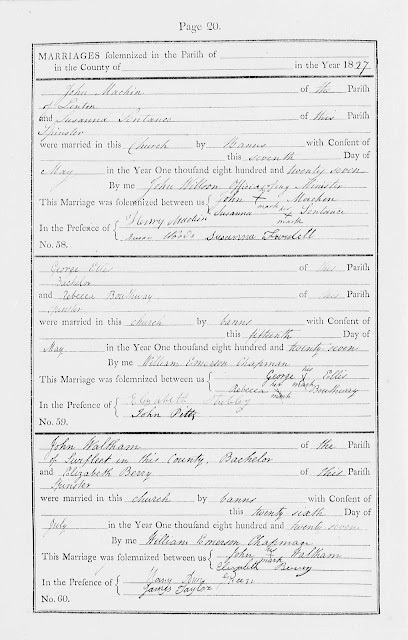 Her maiden name was Bouthway according to her marriage record but I have been unable to find any record of her baptism to prove her parentage. 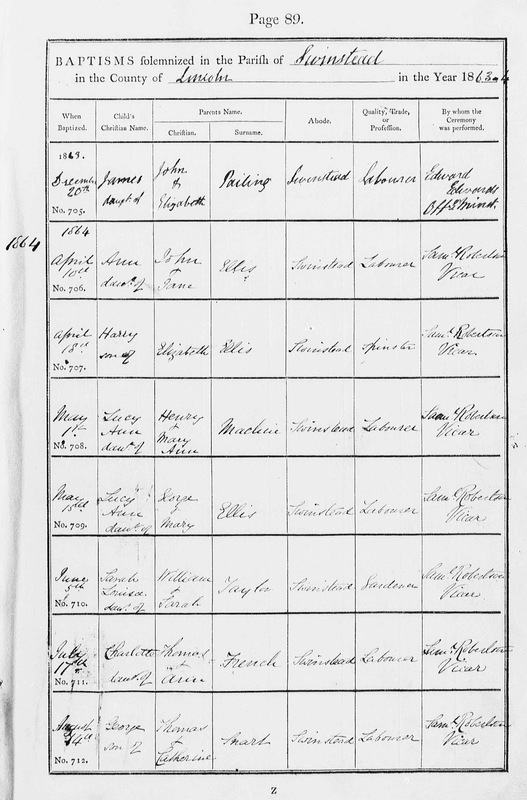 She is presumed to be the daughter of John and his wife Mary Thorold who are living in the adjacent property in 1841 census. If we take a further look at the burial register it struck me that on these 2 pages and within less than a year this family had seen 4 burials in this churchyard. Little more than a month after Rebecca died her brother Charles followed and on Christmas day her father John followed. 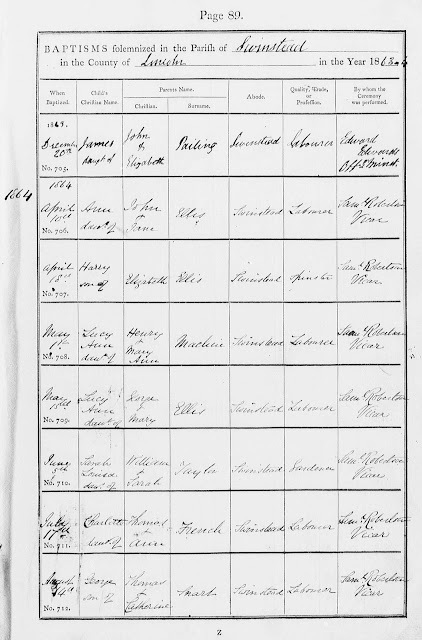 In January 1849 Joseph the illegitimate son of Rebecca was also buried. This is likely to have had a significant effect on the family. 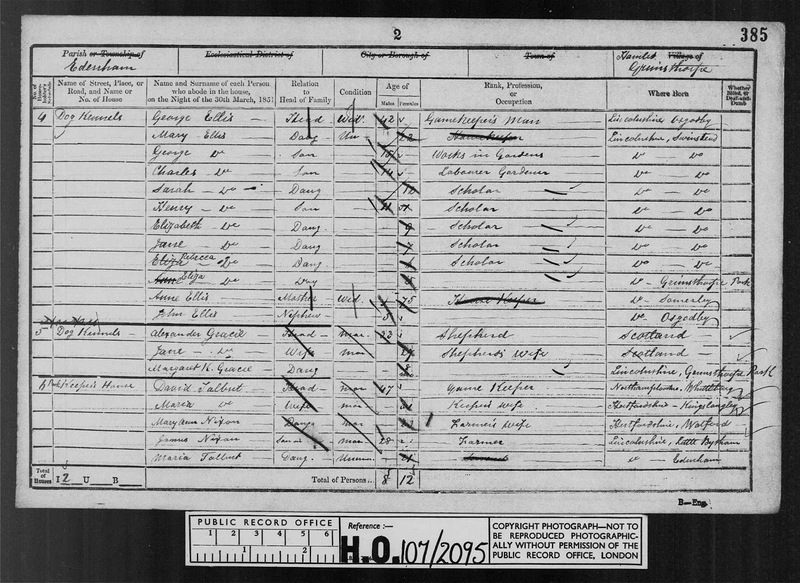 By 1863 George is remarrying in Swinstead to widow Mary Deacon and in 1871 census we can see why he has remarried. He has now got a 7 year old daughter Lucy Ann. 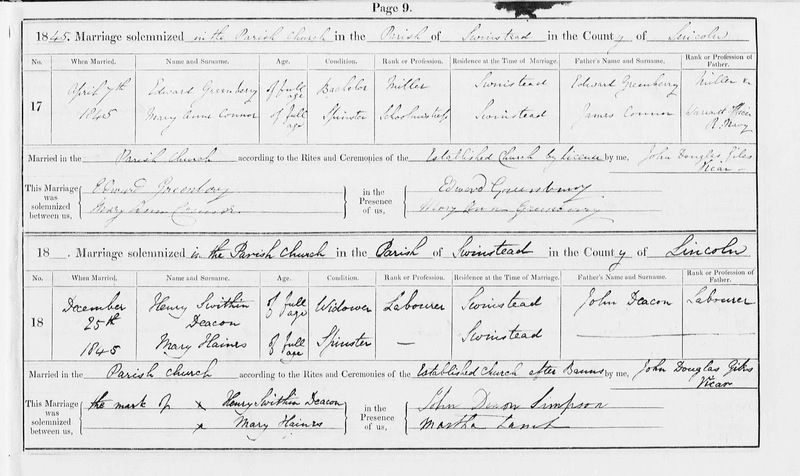 Her christening in May 1864 given that her parents married in October 1863 would indicate the reason for his marriage. My original conclusion regarding the maiden name of Mary Ellis was Scoles as her father was given as Charles Scoles. However, in revealing more about her past several documents came to light. 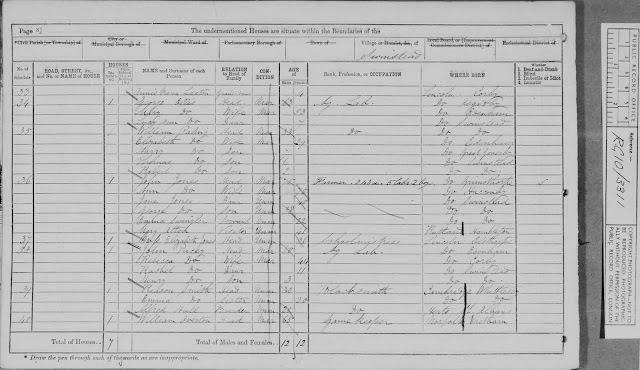 First I looked at the 1861 census in an effort to find her first husband and her previous marriage. However, by 1861 she was already widowed. 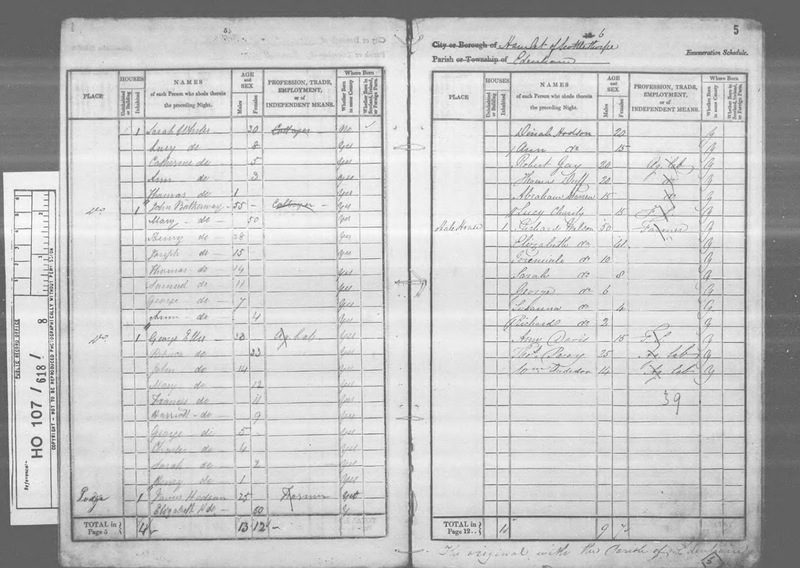 Looking at the 1851 census her husband is a Swithun Deacon. But the only marriage I can find is this one in Swinstead. The bride does not give a name for her father and is using a different surname and the groom has used Henry Swithin and I note he is a widower. Can I find out more and confirm this is correct? 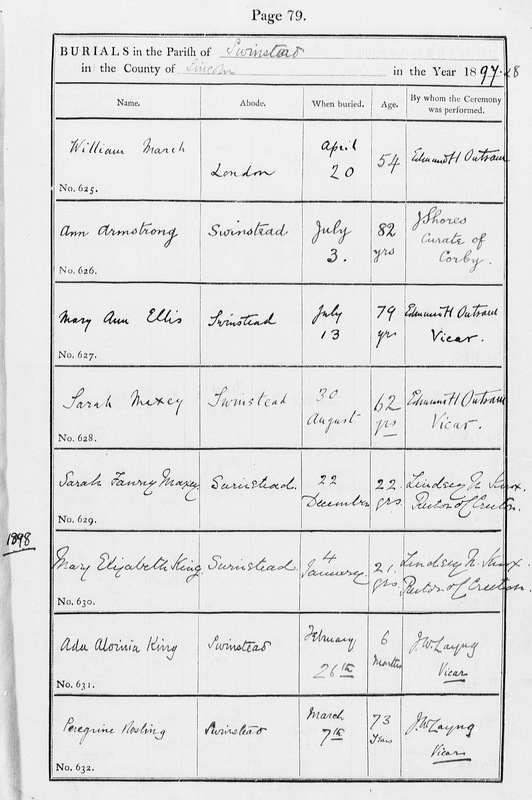 When I looked for a Mary Haines on Find My Past I found a transcription from Lincolnshire Parish Bastardy Cases which had been supplied by Lincolnshire Family History Society. There was a Maintenance Order against Charles Scoles of Grimsthorpe labourer in 1817 by Edenham Parish for a female child of Mary Haines. This is the only baptism I could find that would fit. 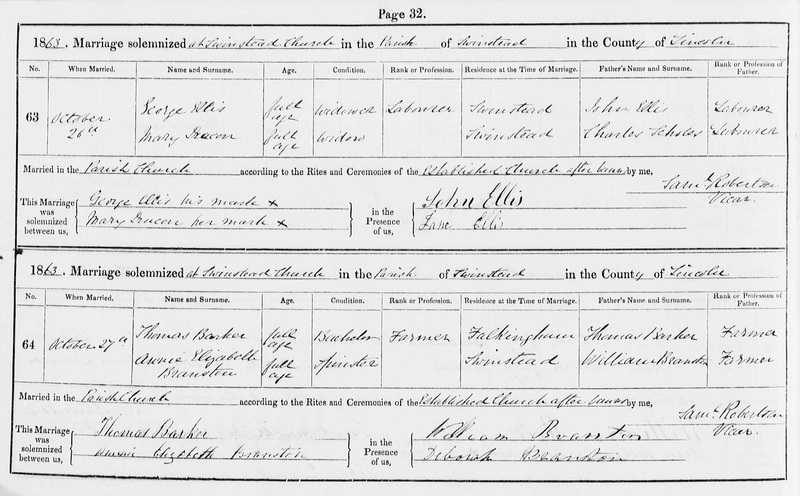 When she died the death was registered as Mary Ann Ellis which would fit with both of the first names that were used. I also discovered that her first husband had been christened Swithin and had been married previously. The older children on the 1851 census were from his first marriage. Looking in other record sets and thinking around a problem can be time-consuming but can ultimately lead to a result. 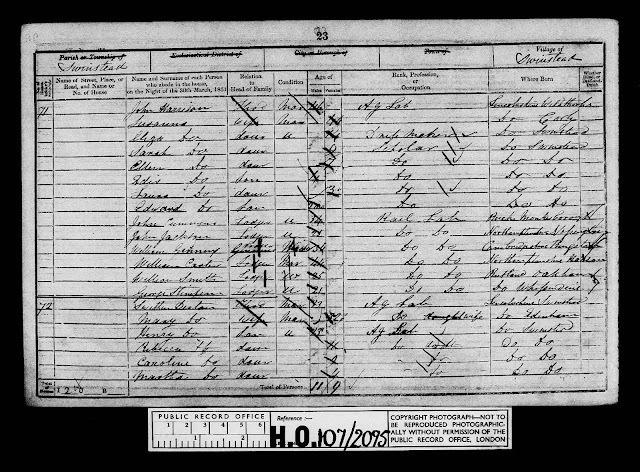 Maybe I will find a record that confirms who are the parents of Rebecca Bouthway or should it be Botherway. 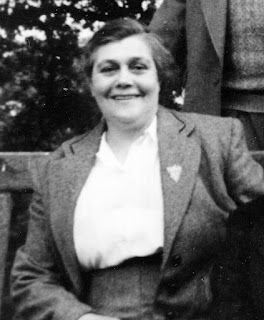 This week I shall look at someone who I have written about before her name Ruth Ellen Gadsby. Ruth is my father in law's aunt and I wrote about her for the Worldwide Genealogy blog in 2016. The story I told in that post was about how I went about confirming who she had worked for as another of her nephews had told me that she had worked for a grandson of Gladstone the well known British politician. Finding her on the 1939 register in the place where I had been told she worked was only the start of my journey. Whilst I have not yet found anyone famous as a direct ancestor I have found that the lives of the Gadsby Family including cousins, aunts, and uncles have been touched by others who have a place in history. The added interest from knowing your family shared experiences with these notables can help bring history closer and adds to the joy of finding elusive family members. One thing I didn't include in my earlier post was her headstone. This is in the village of Gunby St Nicholas, Lincolnshire, England just across the road from the house where she lived in her later years with her mother and brother. I would expect this to be where she is buried but I have not confirmed this and it is possible that she was cremated and only her ashes are here. With a background of labourers, there is no single place that my family could call "The Ancestral Home". Whilst a single generation may have stayed in the same house, once they had married and had children, no property has been passed down the family. Therefore, I will discuss the houses where my grandparents lived when I was a child. 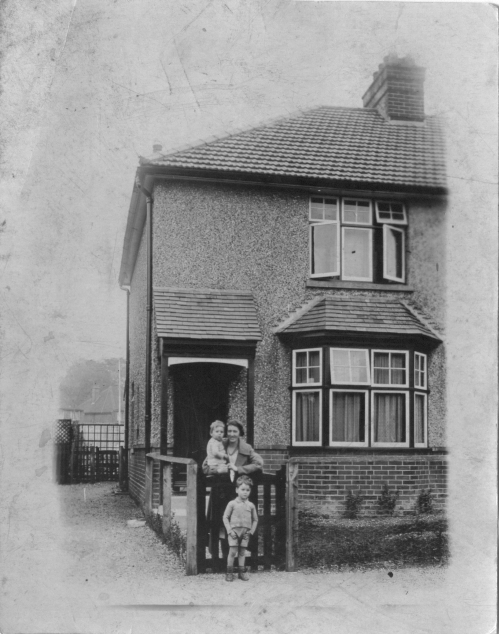 My grandparents' house about 1935 with Nan (paternal grandmother), Dad and his younger brother. The first picture is the house where my maternal grandmother lived when we were children. We always called her grandma. She was the stricter grandparent possibly due to her time living in the orphanage. The front room was for visitors and we rarely used it when we visited grandma as we were family. I do remember it was where the family bible was kept. The bedroom above was not used though I think grandma slept there if we stayed overnight. This was the room which received a hit from some shrapnel during WW2. Southampton and the surrounding area were subjected to a number of air raids. The rear of the property backed on to the railway line for trains to the New Forest and Bournemouth and we would sometimes go down to the bottom of the garden and wave at passing trains. The rear bedroom was where we slept if we stayed over and we would "top and tail" as it gave us more room. We also had what was affectionately known as a "gosunder" or a chamber pot when we stayed as there was no indoor toilet. We even had to use a tin bath (see one hanging on the fence in my paternal grandparents garden), should we want to have more than a wash when we stayed with grandma, it would be placed in front of the fire in the kitchen. This would be quite a thing, having to heat sufficient water, then a quick in and out, before the water went cold. My paternal grandparents (Nan and grandad) also had an outside toilet which is the part of the building with the tiled roof in the first picture. However, they did have a bath inside the house. Only once did I stay overnight when my youngest sister was born. It is not visible in the above pictures but the following 2 pictures show part of the concrete bunker in the garden. This was the air raid shelter and was still in the garden when the house was sold after my uncle died. 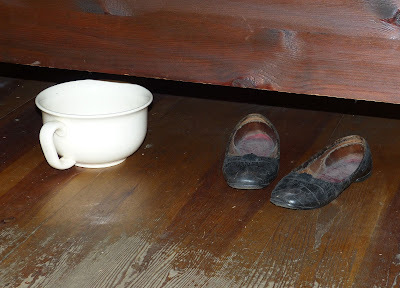 My grandmother did not have any air raid shelter in her garden but the house had a large cupboard under the stairs big enough for a bed which could be used during any raids and would have protected the occupants from flying glass or other debris. Life in these houses would have been cramped for both my parents were one of five and both of these houses had only 3 bedrooms. No central heating so you may wake up with ice on the windows in winter. When war broke out in 1939 my parents were only aged 7 or 8 old enough to realise what was happening. We would spend Christmas with my paternal grandparents and I remember fondly the clockwork Father Christmas and the Christmas Tree on the table in the front room window. We would meet up with cousins, aunts, and uncles and have Christmas as a family. I also remember my Nan making delicious apple pies using dinner plates. My grandma was quite frugal and had been taught how to get the most out of a loaf of bread. Once the crust had been removed she would butter the slice before cutting it from the loaf. She also would not allow us to eat sweets before our meal. 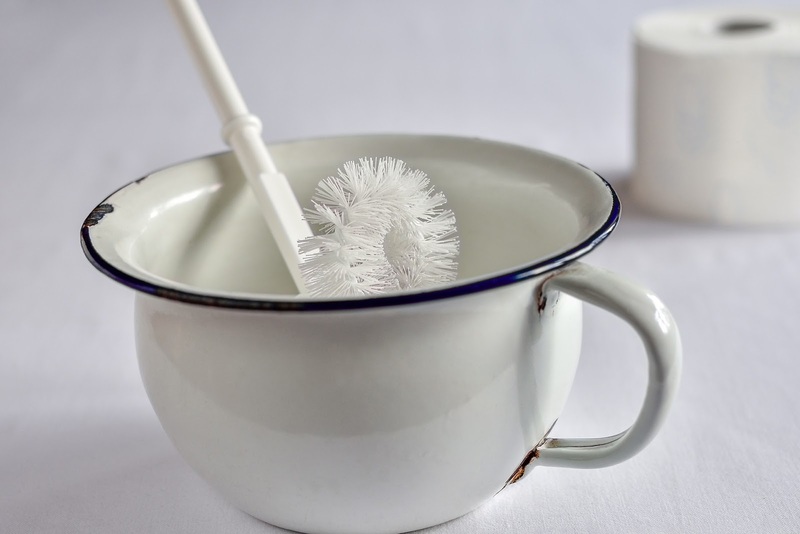 Growing up at a time when there was no rationing it is difficult to visualise the impact this had on the lives of our parents and grandparents but some things did have a hangover effect. Many of the events, I mentioned in the life of my grandmother, may be considered to be a misfortune. All of them involved a premature death in some way due to illness, accident or war. However, there may also be instances when something happens which causes pain, disfigurement or otherwise upsets our everyday lives. The loss of a job in times of high unemployment or something which means we are less able to work can have a huge impact. We are fortunate that in today's society the state can provide relief but this was not always the case. Family and friends were often the first port of call when hard times struck and many were reluctant to go to the parish unless they were desperate. The Workhouse was avoided wherever possible. My 3xgt grandparents lived in the village of Britford, Wiltshire. This was in the Alderbury poor law union and they both died in the Alderbury workhouse which was also known as Salisbury workhouse. 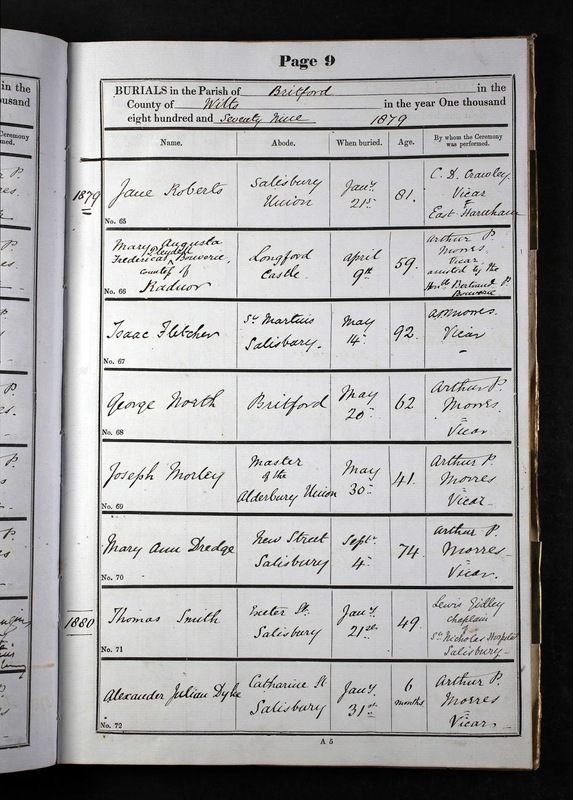 The local archives hold records and I shall be checking how long they were resident in the workhouse before their deaths. This appears to be one of the better institutions of this type, as this was the only place where the poor could obtain help when they became unwell, it may have been that their stay was short and spent in the infirmary. However, despite dying in the workhouse both of them were buried in Britford. Many poor persons died in The Workhouse and would have had a paupers grave. I have not checked for any headstones, but I doubt that the family could afford this luxury, by this time surviving children, had moved away. Two lucky ladies who won their registration the first time they came to Rootstech. The ancestor who I highlighted last week could be classed as being unlucky so this week I will be highlighting the opposite and talking about lucky finds and contacts and good fortune. If I had started my research earlier I think my luck would have been so different. I could have spoken to my mother in law about her family and would have had grandparents who could have helped with personal experience and family stories. 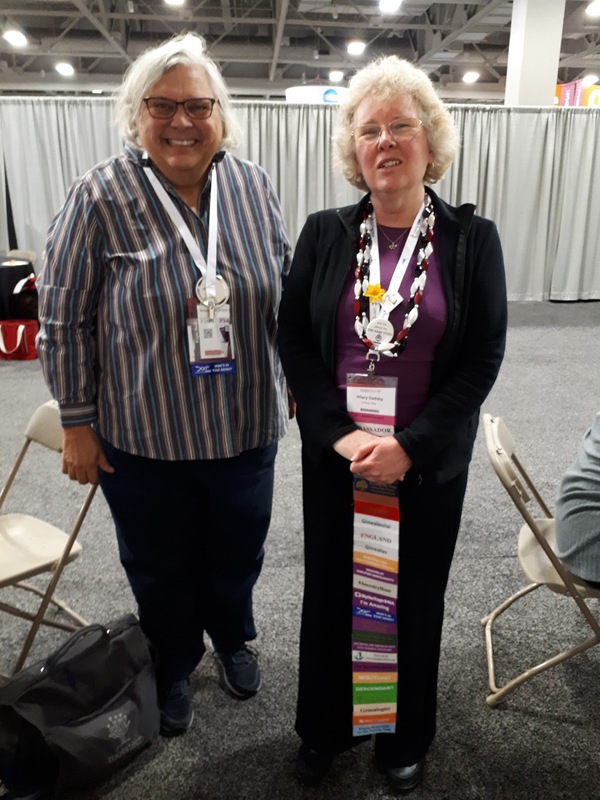 Judy G. Russell aka The Legal Genealogist gave a presentation at RootsTech and highlighted how quickly the knowledge of our ancestors disappears. So we all need to start our research as early as possible and record it before we lose it or we lose the ability to record it. Don't forget family members do not have to die for us to lose their stories. Speak to everyone you can they may each have something to add. I lost my father before I had thought to speak to him and my mother lost her ability to speak due to illness. Fortunately, I did manage to interview my father's older sister who was the record holder for her generation and she told me about things that do not show up in the records correctly. She also told me about a missing child who I have now tracked down see my post. 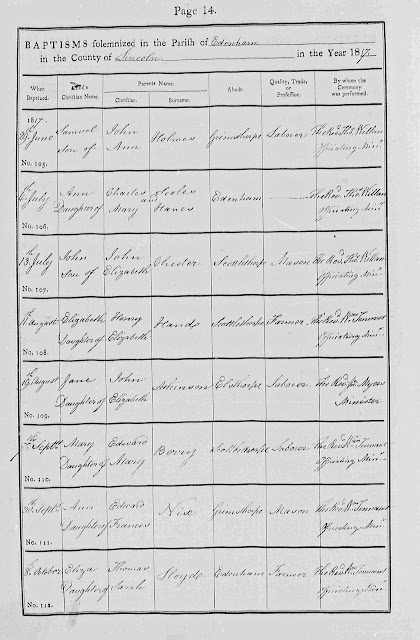 I have also found records at an archive by chance such as the settlement examination for my 3 x gt grandmother Louisa Richards see more about this in my earlier post and my other blog. If I look back at my research I will also find other instances where luck has intervened. 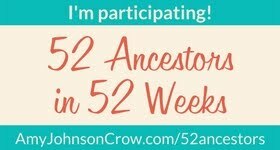 I think for me the luckiest thing to happen since I started to research is the way that the internet has changed genealogical research. Contacting others who I haven't, and may never, meet but can provide me with breakthrough information has never been easier. Don't rely on luck, it is great when it helps but most breakthroughs are due to good research and understanding more about how to do things right. Speak to others, attend classes and watch webinars. If something has helped another researcher it may help you. Today is International Woman's Day and March is Women's History Month. This is my maternal grandmother Florence Ann Roberts nee Compton. I am going to tell you more about events in her life that meant she had to be a strong woman. Florence Ann Compton was born on 17 February 1901 in King Street Warminster. 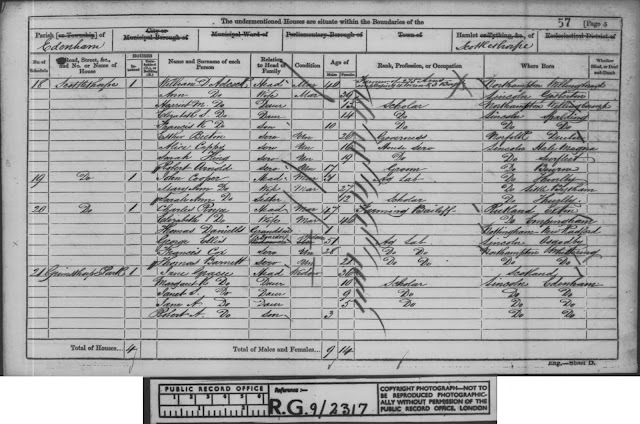 She first appeared in the census on 31st March 1901 with her parents and siblings the youngest child of Edmund John and Thirza Ann (Robbins) Compton. 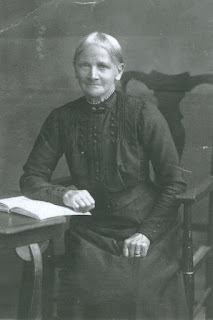 She was baptized in Christ Church, Warminster on 16th May 1901. When she was only 5 years old her father died of Pulmonary Tuberculosis, Pleurisy & Pneumonia & Asthma, he was only 51 years of age, and this left her mother a widow, at the age of 41, with 5 children, the eldest being just 14 years of age. Less than 16 months later, Florence and her siblings were orphaned, when her mother, failing to cope, took her own life. I have found a report of the inquest in the local paper. It appears that her mother had been unwell, she was reluctant to leave her children to be supported by the parish, whilst she received treatment in the hospital. With all the older siblings being boys, close relatives being unable to take in all the children, the family was split up. 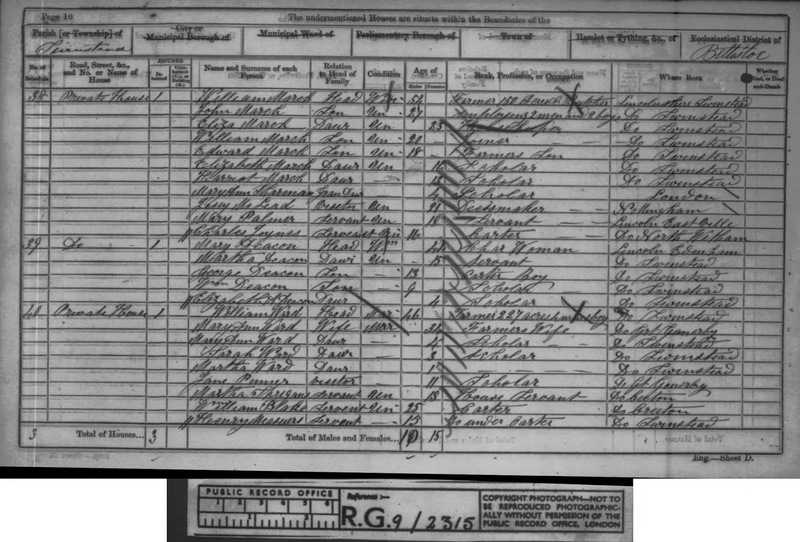 My grandmother went to the Mullers orphanage in Bristol and her slightly older sibling Ernest Roy Compton was finally found on the 1911 census living in The National Children's Home. Fortunately, I know that she kept in contact with at least three of her brothers. 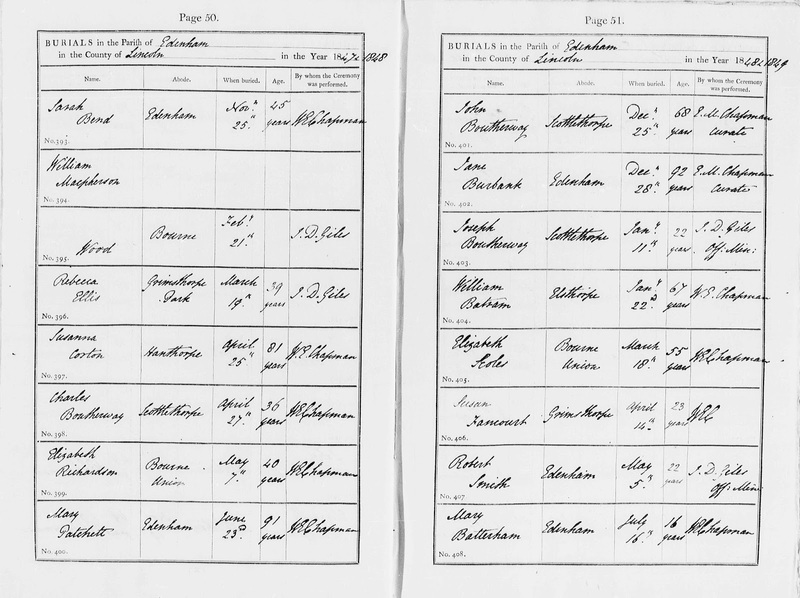 My uncle obtained a copy of her orphanage records and they contain a letter from her brother Sidney Herbert Compton and several from her eldest brother Walter John Compton. When she left the orphanage it was with Walter and his family that she lived initially. 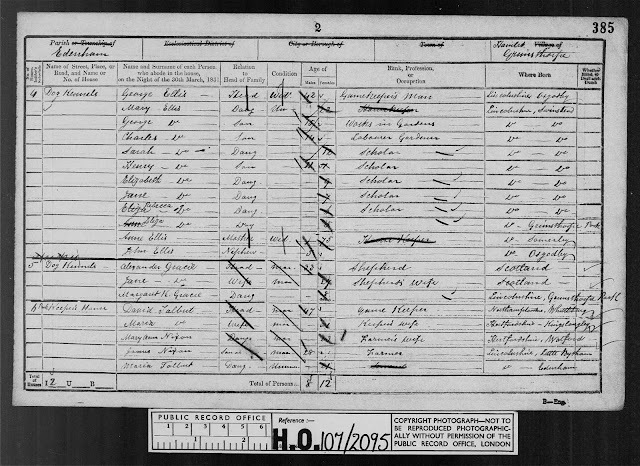 The record stating that on 19 May 1917 she was taken by her brother Mr Walter J. Compton to live at 8 Jubilee Terrace, West St., Warminster, Wilts. as he wished to provide for her. On the 23 February 1917 her brother Ernest Roy Compton who had joined the Hampshire Regiment had been killed in action in Mesopotamia. Then on 28 August 1917 her brother Sidney Herbert Compton died of wounds in Flanders he is buried in Lijssenthoek Military Cemetery, Poperinge, Arrondissement Ieper, West Flanders (West-Vlaanderen), Belgium. 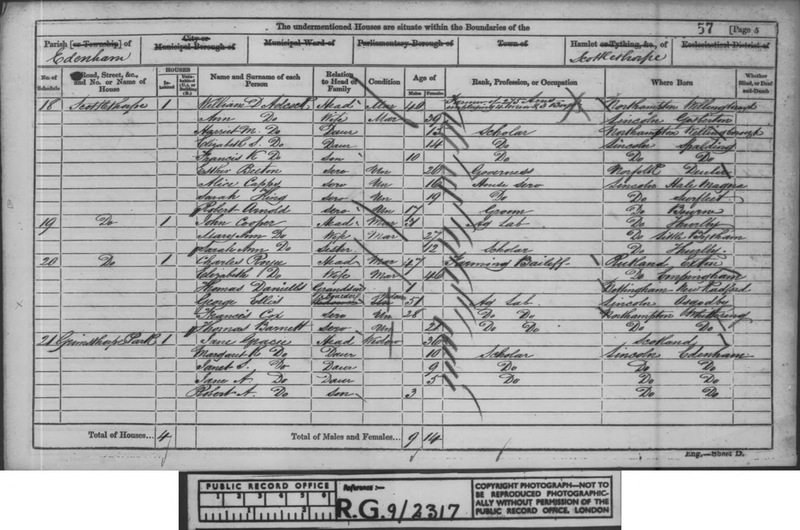 So by the end of WW1 Florence Ann had lost both her parents and two of her four brothers. But this is not the end of her story she was to encounter further tragedy when her eldest brother died in the flu epidemic in 1918. Her one remaining brother lived to the age of 90 and died the year after her. 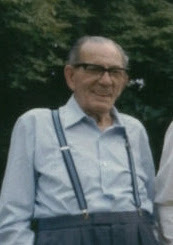 In 1927 my grandparents were married the following year their son Kenneth Alfred Roberts was born. 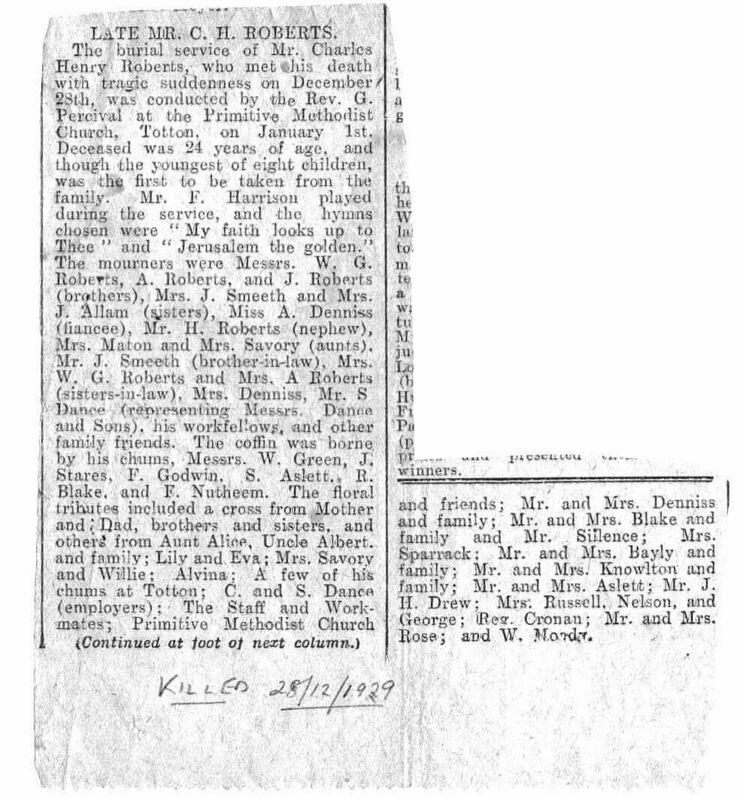 In 1929 tragedy was to affect the family one more when Charles Henry Roberts the youngest brother of her husband Alfred Roberts was killed in a road traffic accident. LATE MR. C. H. ROBERTS. The burial service of Mr. Charles Henry Roberts, who met his death with tragic suddenness on December 28th, was conducted by the Rev. G. Percival at the Primitive Methodist Church, Totton, on January 1st. Deceased was 24 years of age, and though the youngest of eight children, was the first to be taken from the family. Mr F. Harrison played during the service, and the hymns chosen were “My faith looks up to Thee” and “Jerusalem the golden”. 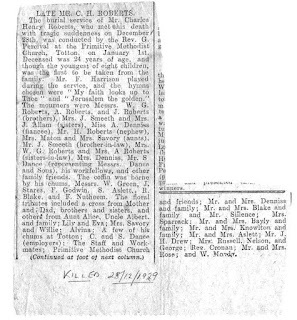 The mourners were Messrs. W. G. Roberts, A. Roberts, and J. Roberts (brothers), Mrs J. Smeeth and Mrs. J. Allam (sisters), Miss A Denniss (fiancee), Mr. H. Roberts (nephew), Mrs. Maton and Mrs. Savory (aunts). Mr. J. Smeeth (brother-in-law), Mrs. W. G. Roberts and Mrs. A Roberts (sister-in-law), Mrs Denniss, Mr. S Dance (representing Messrs. Dance and Sons), his workfellows, and other family friends. The coffin was borne by his chums, Messrs. W. Green, J. Stares, F. Godwin, S. Aslett, R. Blake, and F Nutheem. The floral tributes included a cross from Mother and Dad, brothers and sisters, and others from Aunt Alice, Uncle Albert. 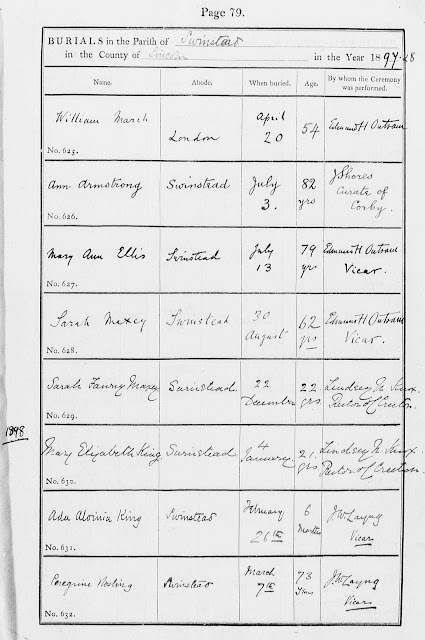 and family; Lily and Eva; Mrs Savory and Willie; Alvina; A few of his chums at Totton; C. and S. Dance (employers); The Staff and Workmates; Primitive Methodist Church and friends; Mr. and Mrs. Denniss and family; Mr and Mrs Blake and family and Mr. Sillence; Mrs Sparrack; Mr. and Mrs Bayly and family; Mr. and Mrs. Knowlton and family; Mr. and Mrs. Aslett; Mr. J. H. Drew; Mrs. Russell, Nelson and George; Reg. Cronan; Mr. and Mrs. Rose; and W. Nordy. 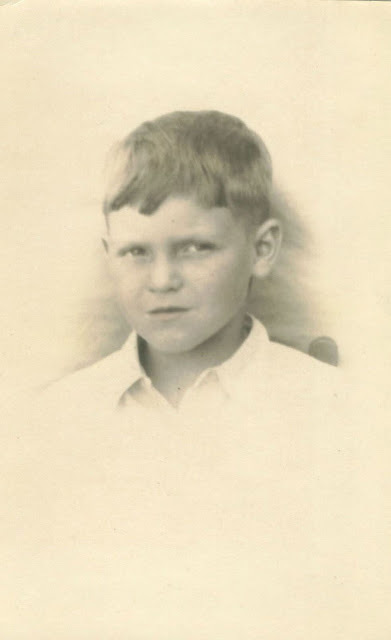 On 5 January 1944 the day before my mother's birthday her eldest brother Kenneth died. I had been aware that he had died young for a long time and decided to do a search of the newspapers to see if I could find more details. This was from Southern Daily Echo Saturday 8 January 1944 Vol. LVI No. 17108 p.7 accessed at the Southampton Special Records Collection Library in Southampton, Hampshire, England on 5 March 2008. Finally, if all this was not enough my grandmother lost her husband at the age 61 when she was only 58. She died at the age of 84 in 1985 of Bronchopneumonia, Chronic Obstructive airways disease & Ischaemic Heart Disease. During her lifetime she had experienced the loss of both parents, 3 siblings, a brother in law, child and spouse. We all expect our parents to die before us but all of these events can be classed as premature and several as sudden events. War, disease and poverty may have shaped, most of, these events, each will have made her the woman I knew as my grandmother.